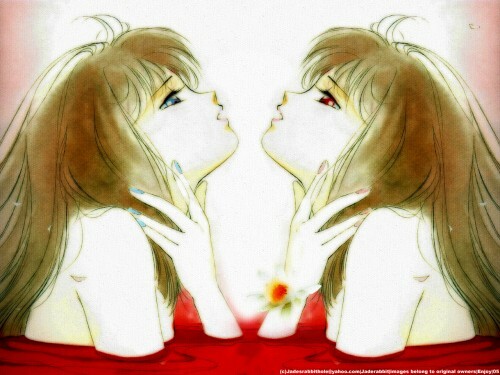 Vampire Princess Miyu Wallpaper: Evolution-.:Simplistic_Realism:. Minitokyo »	Vampire Princess Miyu Wallpapers » Vampire Princess Miyu Wallpaper: Evolution-.:Simplistic_Realism:. This is probably going to be the last 'of the painting like walls that i make' in the evolution series, But the last 2 evolution walls are still yet to be released ^_^. In this one i realized anyone can make a beautiful wall, because ALL walls are feelings basic human emotions that are portraded on a canvas for all to view. Someone once told me 'anime is anime it can't be realistic' But in my belief anime is realistic, it's the realism that come from the soul of that person... that is what makes a great anime. In total 25 layers, mostly small fixes, not alot of work.. but true feelings is what makes it stand out to me. I know it is very simple... but i hope that u can see the beauty that i see in it. I hope you all enjoy this one till next evolution. As always Comment' and enjoy. agreed, very beautiful this one is ~ that be true..